Porteus Kiosk - free and open source kiosk software for web terminals. Porteus Kiosk makes securing your public access computer easier than you think. You no longer have to be a technical guru to customize, lock down and install your own kiosk. No need to worry about viruses, malware or users installing unwanted software. Install it. Customize it. Forget it. An easy to use wizard will guide you through the set up process allowing you to easily modify your kiosk to your liking. There is an option to subscribe to automatic updates which will keep you safe from exploits and hackers and keep your users data safe 365 days a year. It's not just a kiosk! Use Porteus Kiosk to display information, advertisements, pictures or stream videos on digital signage deployments. It can also act as a diskless workstation in companies that use browsers as the main working tool such as customer support centers. 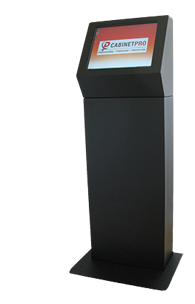 Porteus Kiosk is extremely lightweight in terms of size and resource usage making it ideal for low spec systems. The default image is around 100MB while the size of your custom kiosk ISO will depend on your choice of the browser and extra components like flash, java, etc. Install the ISO to CD/DVD, USB device, hard drive or any other type of bootable media. The first time you boot, a friendly wizard will guide you through the setup process. Our unique automatic updates system can take care of important required updates. What exactly is Porteus Kiosk? Porteus Kiosk is a full operating system which replaces Windows or any other OS during installation. While evaluating our product we recommend the installation on removable devices or in a virtual environment. When our system goes into production we strongly advise to install it on a PC hard drive. Our system can be used as internet kiosk or other publicly available web terminal in schools, libraries, cafes, hotels, offices, tourist centers and the like. Another possibility is to use Porteus Kiosk for displaying information, advertisements, pictures or streaming videos to digital signage deployments. It can also act as a diskless (if booted over a network) workstation in companies that use browsers as their main working tool, such as customer support centers. If you are looking for inexpensive mini PC which is powerfull enough to handle kiosk or thin client type system then please check following sites: GearBest, GeekBuying, NewEgg, Amazon. Mind you need to buy a PC with Intel or AMD CPU. Porteus Kiosk can be used on machines belonging to x86_64 architecture (CPU must support 64bit instructions). It should run on every PC available on the market but for best experience we recommend installing it on a hardware which is compatible with open source operating systems. See this link for reference. Please mind that Porteus Solutions does not sell the hardware and you must purchase it from 3rd party retailers. Please query the PC manufacturer about the Linux compatibility before buying the hardware. Porteus Kiosk requires at least 1 GB of RAM and 1 GB of storage space (2 GB if peristence is used). It can be installed on CD/DVD, USB flash drive, hard drive, SSD/eMMC devices, or any other bootable storage media such as Compact Flash or SD/MMC memory cards. 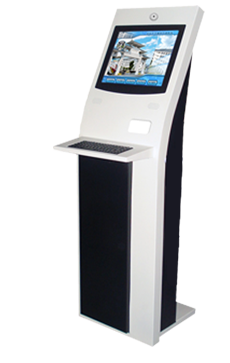 Porteus Kiosk is extremely lightweight in terms of size and used resources. The default image is around 100 MB while the size of your custom kiosk ISO will depend on your choice of the browser and extra components such as Adobe Flash, Java, Citrix Receiver, printing, additional fonts and other. Touchscreen hardware is supported out of the box if opensource drivers are included in the Linux kernel. Certain models do not work or have limited functionality so integration of the proprietary drivers like ELO, eGalax, PQLabs, POSTouch, Displax, GeneralTouch or other with our system is necessary. This could be done by following our kiosk modification guide or we could do this job for you through the commercial customized builds service. Porteus Kiosk supports over 8000 inkjet, laser and thermal printers attached directly to the kiosk with usb, parallel or serial cable or connected through the network. A full list of currently suppored models can be found under this link. ARM devices (Raspberry Pi, Odroid, CubieBoard, BeagleBone, etc) are currently not supported by Porteus Kiosk although this may change in the future. Number of system installations including Porteus Kiosk variant "Cloud", Porteus Kiosk variant "ThinClient" and Porteus Kiosk Server. Statistics are updated every 10 mins. Sample deployments are presented under this link. Total* - counting started in October 2014: data. Our operating system is available free for private users, companies and public institutions under the terms of the GPL license. It can be installed on an unlimited number of PCs and used for as long as you want. GPL compliance means that modifications on the source code level can be performed without any limitations or restrictions. Individual packages and system components - for e.g. Google Chrome, Adobe Flash, Citrix Receiver, wireless/GPU firmware - are provided with their own licenses. Every kiosk ISO downloaded from our site includes a copy of the GPL license which is placed in the "docs" folder inside the ISO. Other licenses are embedded in respective modules. Porteus Kiosk is ready to be exposed on a public network without the fear of being modified or manipulated by inside users or outside intruders. The only authorities capable of making changes are: the kiosk owner (administrator) or the Porteus Team in case when kiosks are signed to the automatic updates service. Our role is to make this feature a top priority and fix security vulnerabilities, bugs and other reported issues as soon as possible. You do not have to be involved in this task at all - when the 'automatic updates' service is active we maintain the kiosk system and let you focus on evolving your own business. a) Porteus Kiosk is distributed as the read-only iso9660 image and even when installed on writable media, the operating system is still burnt onto the target device in the same way as it would be burnt on a CD or DVD. Utilizing this method enhances the security and stability of the kiosk by preventing unauthorized manipulation of the system components. b) Kiosk security is hardened when the automatic updates service is enabled. During startup kiosk does MD5 sum check of all system components and stops booting when there is a mismatch with registered values. c) Our system belongs to the Linux family and is immune to all kind of viruses, trojans and malware which can be a real danger to other operating systems. While surfing the web with Porteus Kiosk you are safe in anything you do. - The kiosk is perfectly stable during the session and does not depend on reading from booting media which is powered down entirely. When startup is finished the kiosk turns into a diskless terminal letting you save on energy bills and helping the environment. - Accidental power loss does not do any harm to our system, once power supply is back the kiosk boots into its preconfigured state. - Porteus Kiosk should be considered as "read-only" operating system. By default the temporary data is saved to the virtual filesystem in RAM and never on the hd/flash/SSD drives ensuring maximum life expectancy. Storage media devices are active only for very short time during system boot. Our project respects the privacy of kiosk owners and kiosk users. a) A system configuration tool is provided with the ISO and performs all system customizations on your own PC. Kiosk settings (including sensitive ones like ssh/vnc/wifi passwords, browser homepage, URL of the wallpaper, etc) are never transported over the network and stored on our servers. During installation the kiosk configuration file is encrypted and embedded directly in the read-only ISO which is burnt on the hard drive. This way the kiosk config can't be captured or malformed by 3rd parties. b) Porteus Kiosk looks after the kiosk users ensuring that none of their private data can survive the session. 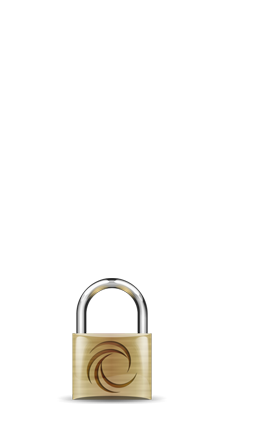 History is not kept, no passwords are saved and all caches are cleared once the browser is closed. a) Firefox plugins: Adobe flashplayer, Java JRE, Citrix Receiver. b) Additional font pack for displaying rare characters and handling Asian languages: Chinese, Hindi, Japanese, Korean Thai, Vietnamese and more. c) Printing support for printers connected directly through the usb, lpt and serial ports, as well as network printers supported through the http, ipp, lpd and socket protocols. d) PXE client component to boot the kiosk on multiple PCs over a network. e) SSH and VNC services for remote management and monitoring of the kiosk systems. e) UEFI component which allows booting the kiosk on EFI equipped systems. During first boot you will be presented with the Kiosk Wizard utility which, with single clicks, lets you set up your system according to your needs and preferences. The wizard is really straight forward and well documented. You will have the opportunity to try some options in real time (set homepage and wallpaper, change browser UI layout, test screensaver, test power saving modes, etc) which should help avoiding mistakes and saving your time. When you are content with all kiosk settings you can burn your customized ISO straight onto writable media to complete the installation, save generated ISO on a removable device or upload it to online storage for burning on a CD/DVD later. Porteus Kiosk is very small (around 100 MB for base ISO) and insanely fast to boot and work with. Due to the size and minimal resource usage, our operating system is a perfect fit for PCs with weak CPUs or portable devices with limited resources like netbooks, touchbooks and tablets (all belonging to x86_64 architecture). Atom class CPU and 1 GB of RAM should be enough for use in common scenarios. We recommend 2 GB of RAM if users are allowed to open multiple browser tabs. 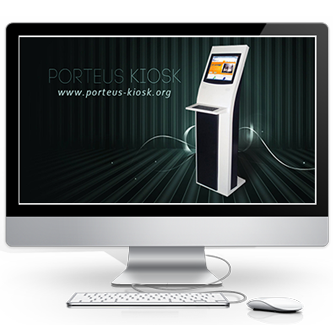 Porteus Kiosk can be configured to work in a rolling-release development model and support automatic updates. This feature is important for companies, institutions and users who want to stay secure 365 days a year. Automatic updates target a 'setup and forget' approach which means that you have to configure the kiosk only once and it will keep updating itself without any user action. If you need such functionality, please take a look at the automatic updates page for more details and our flexible pricing offer. Porteus Kiosk supports unlimited number of modifications so modules which extend its functionality can be added to the ISO. It's really easy - just drop your prepared xzm module to the "xzm" folder in the ISO and it will be loaded automatically during boot. Please have a look at our tutorial describing how to perform kiosk customizations manually. If our documentation is not enough to resolve more complicated issues, then please have a look at the help and support page. Our project allows you to post a query on our public forum, ask us privately or request paid support from the Porteus Team experts. We are very friendly and quick to respond. Do not delay - try Porteus Kiosk today!